Gertjie the rhino was three month’s old when she came to live at the Hoedspruit Endangered Species Centre in South Africa. Her mother had been brutally killed for her horn and Gertjie was found crying inconsolably by her side. Her keepers started looking for a companion for the young orphan to keep her company and help minimize her interaction with humans. After a long search, Lammie, a three-week-old lamb arrived. Lammie is introduced to Gertjie for the first time. 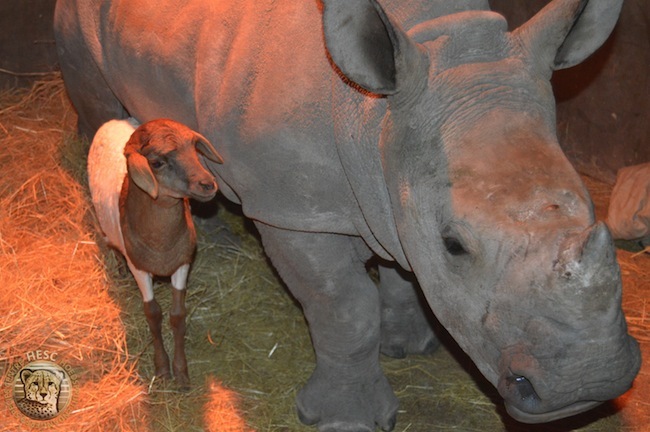 Lammie, though frightened at first, began following Gertjie around immediately and spent her first night at the center sleeping in Gertjie’s room. Soon the two were inseparable. Gertjie didn’t show any aggression towards Lammie, and Lammie learned to move away if Gertjie got too boisterous. 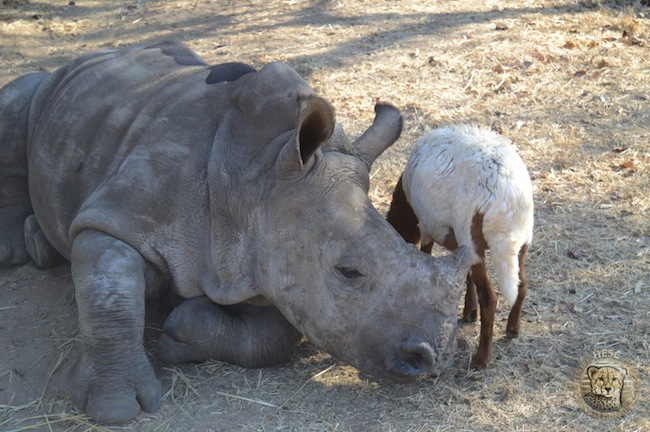 Lammie and Gertjie can often be seen playing together at the wildlife center. 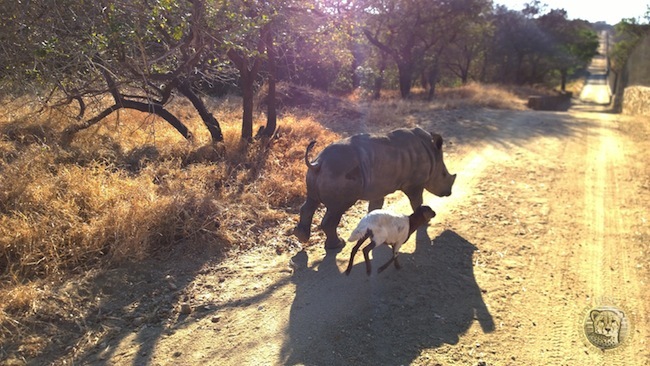 South Africa is home to 83% of Africa’s rhinos and 73% of all rhinos worldwide. In recent years, however, rhino poaching in South Africa has become an endemic that could push this once abundant species to extinction in our lifetime. 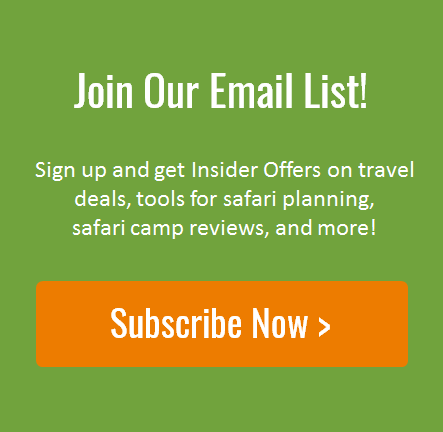 Over 1,000 rhinos were killed in 2013 and even more are expected to be lost to poachers this year. You can see Gertjie and Lammie in action in the video below.